Subscribe to my blog to receive new posts by email. A couple of weeks ago I went to London with my professor and two (student) colleagues to attend a meeting at one of our project sponsors’ offices. There were about 11 of us in the meeting room and after introducing ourselves, the meeting chairman mentioned that the note taker would unfortunately not be attending and he would need someone else to take down the meeting minutes. If you don’t already know what ‘meeting minutes’ are, they are basically notes that describe the events of the meeting in accordance with the meeting agenda. It is good practice to include a list of attendees and also note down the tasks (known as ‘actions’) assigned to each attendee. Any issues that are considered are also noted as well as the related responses (called ‘decisions’) for the issues. Knowing my previous project management experience, my professor quickly asked me to be the replacement note taker, which came to me as a surprise since I had not done this before and got a bit nervous, but I still agreed to do it. 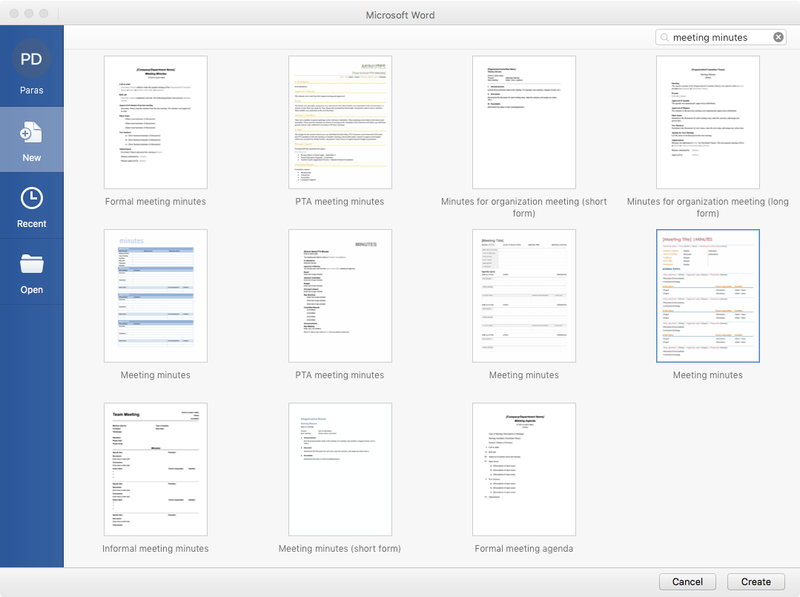 For starters, I opened Microsoft Word and typed a title for the document…and then it hit me! “Surely there must be a template for this sort of thing in Word?” I thought, and from a quick search (shown below) it turned out there are many! The highlighted template is the one I used, more of which you can see below. As you can see, it’s really simple and straightforward with placeholders for every bit of information you need to enter. 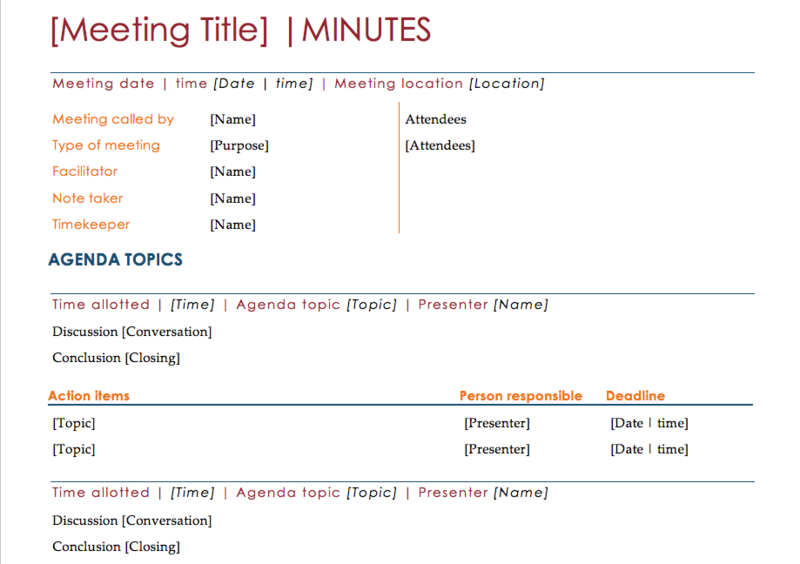 At the top of the document, you enter the meeting details such as its title, location, organiser and the attendees (preferably including an email address). After that, the meeting agenda and minutes go hand in hand, such that you enter each agenda topic into the template, including the discussion and conclusion of each item as simple bullet points. If there were any actions assigned to anyone during the discussion, you note these under action items, along with the person responsible as well as a deadline. Simply repeating this for each agenda topic is basically all you have to do. When you’re done, you email this document to all attendees and then you’re done. Do this for every project meeting and you won’t have any ‘busy work’ to do later on. 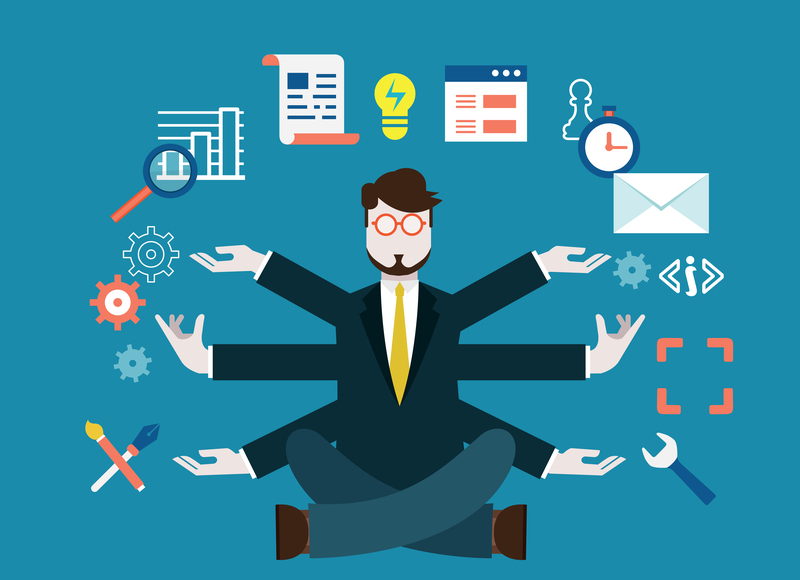 Not only will you have more free time, but your meetings will be as efficient as possible. It really is THAT simple! But this isn’t the only thing for which you’ll find templates in Word; there are also business plans, meeting agendas, expenses forms, invoices and so much more. So for next time, don’t waste your time making a new document and formatting it. Just search for a template and get straight to work. I hope this post was useful to you, and if you have any interesting insights that you think I’ve missed, please feel free to comment below and discuss!